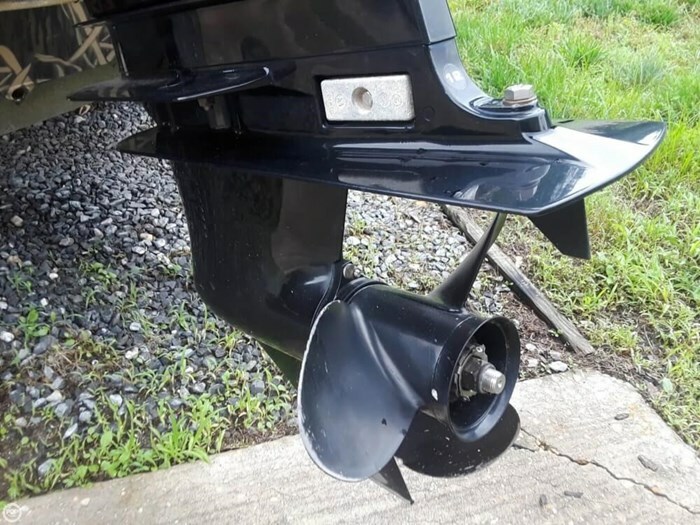 Overall condition of this boat is excellent. 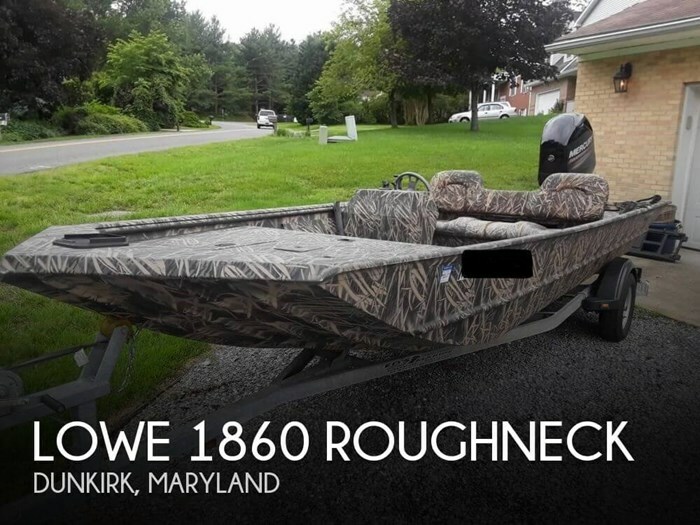 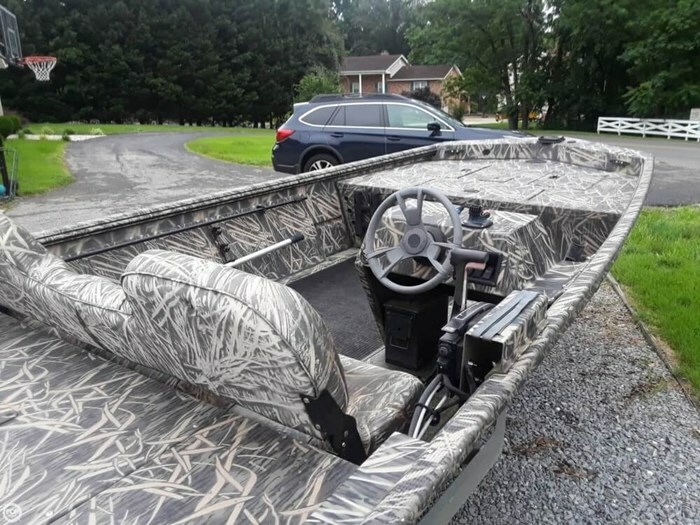 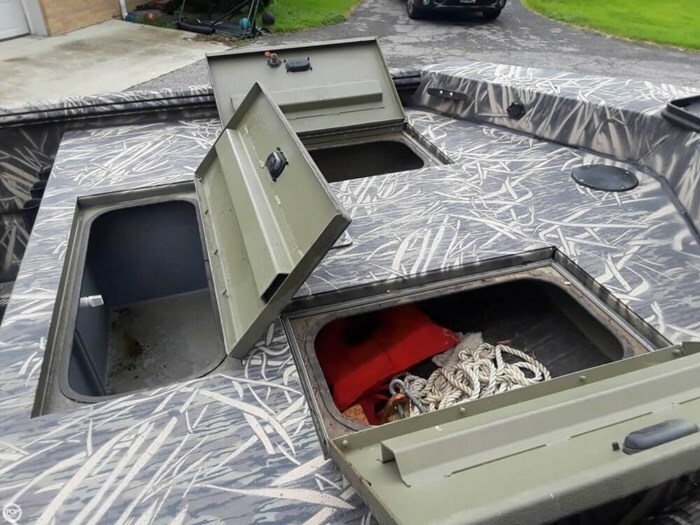 The bench seat will need some fabric work but besides that, not much work needed to explore the Maryland Waterways. 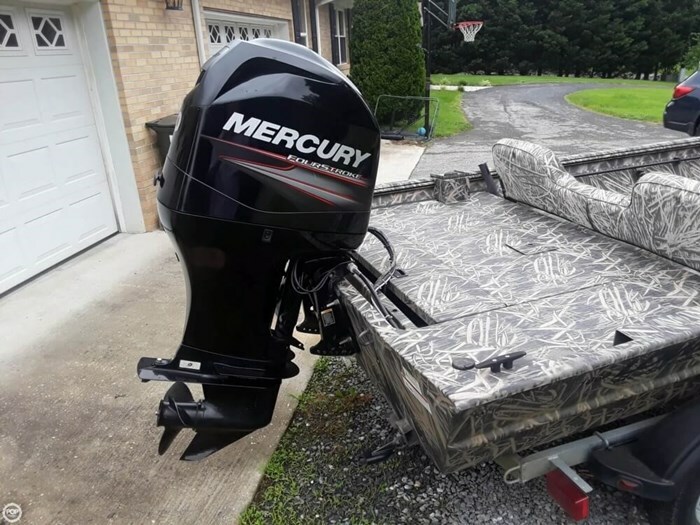 The Roughneck is ready and should not have any delays in hitting the water. 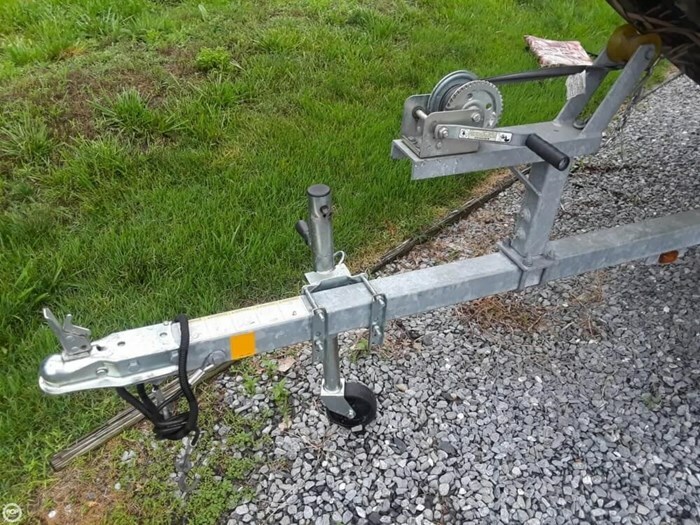 According to the owner, all navigational equipment is working in good condition and the engine is running well. 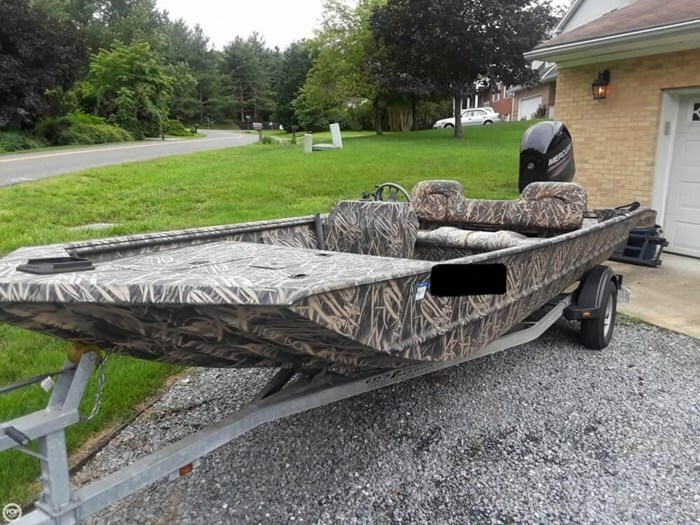 The owner has taken very good care of this boat. 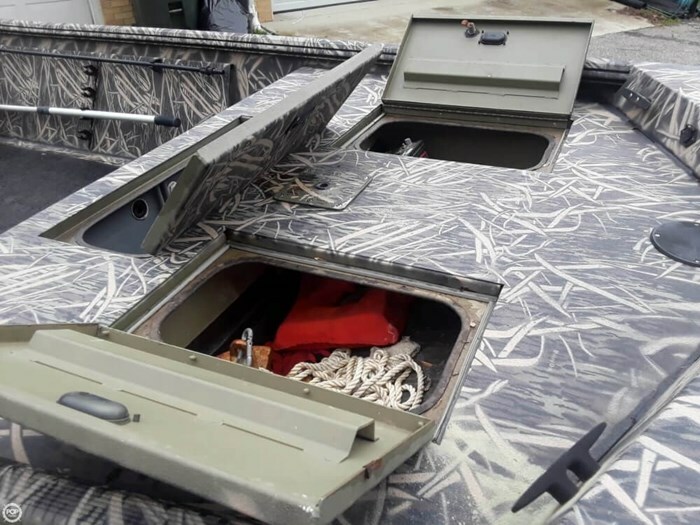 Two storage compartment on the bow are very roomy for additional supplies or carry-on as well as a large live-well. 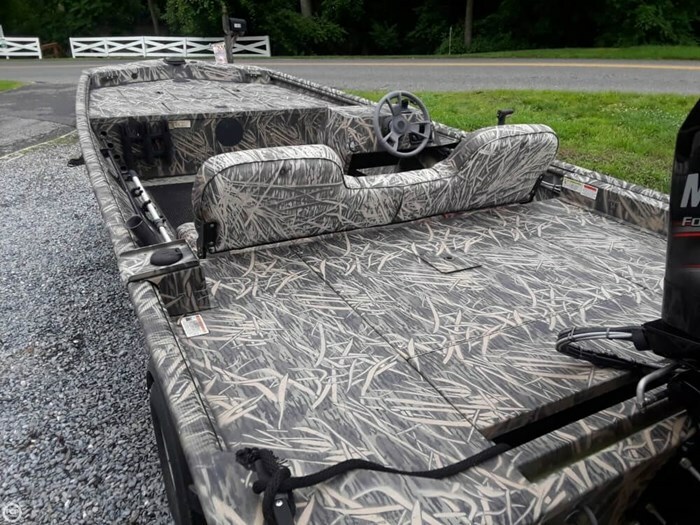 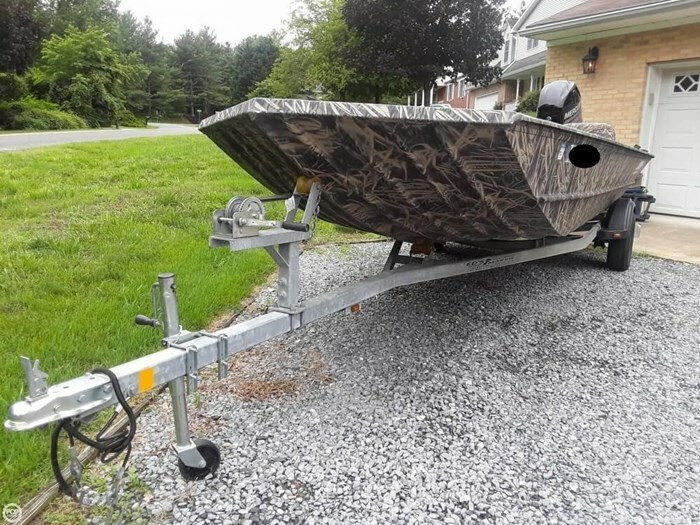 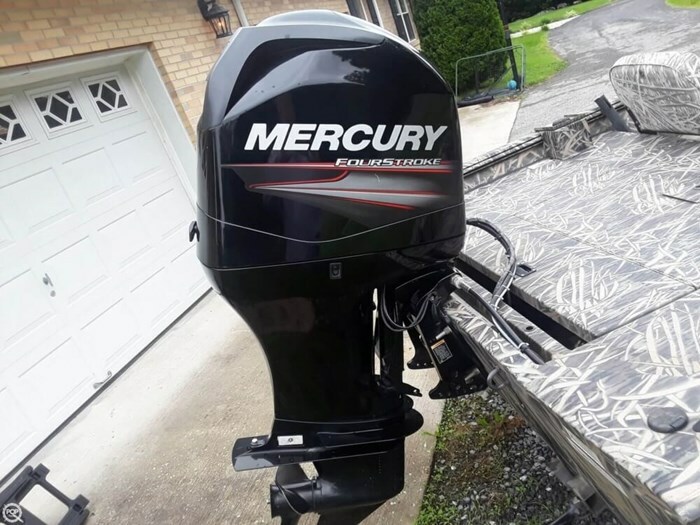 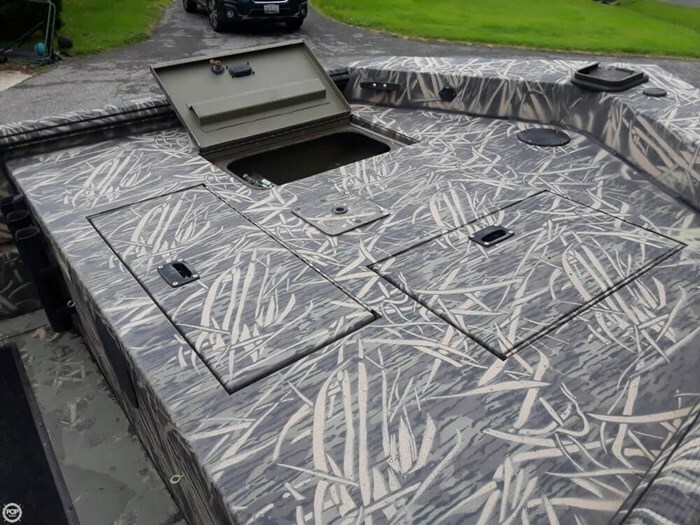 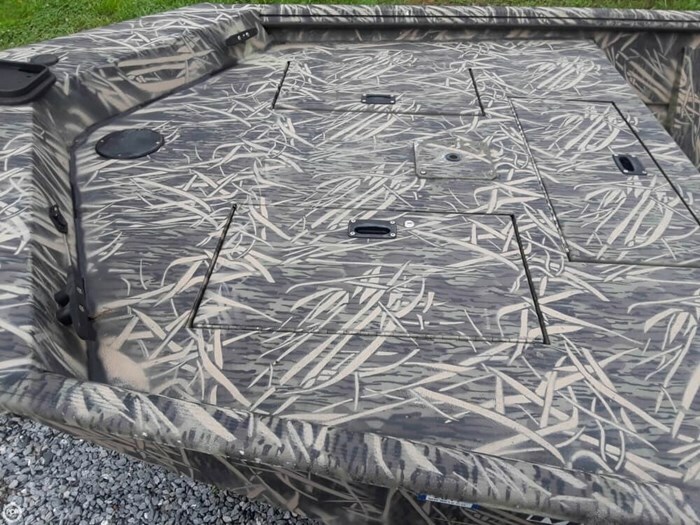 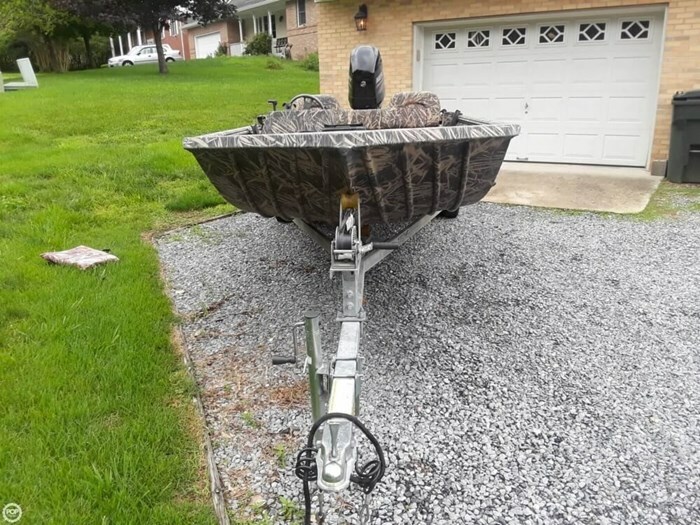 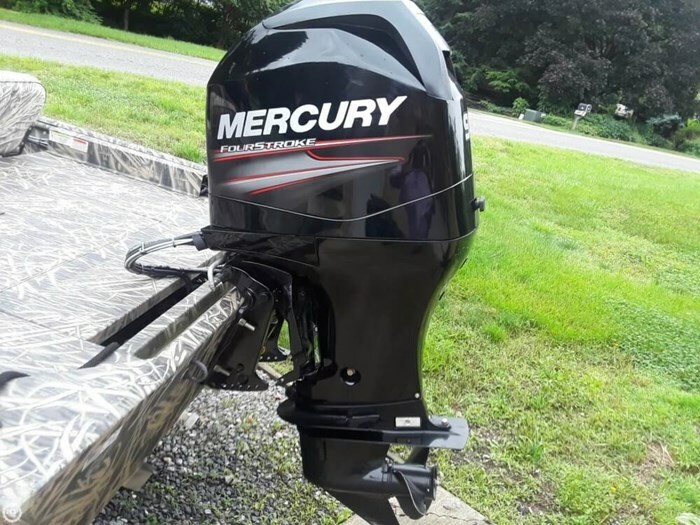 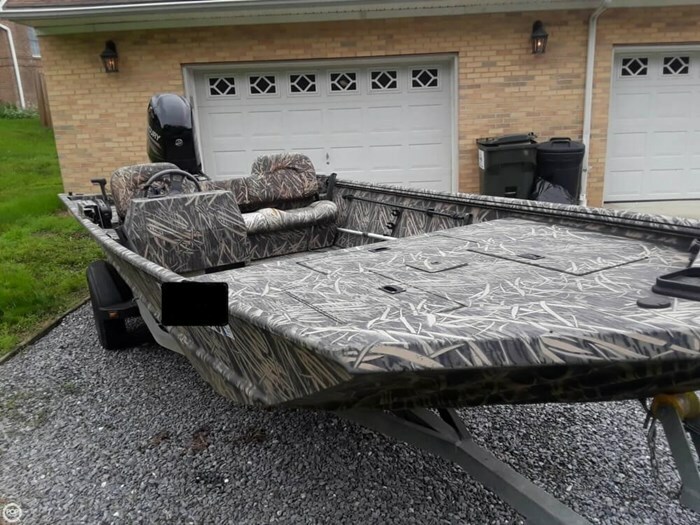 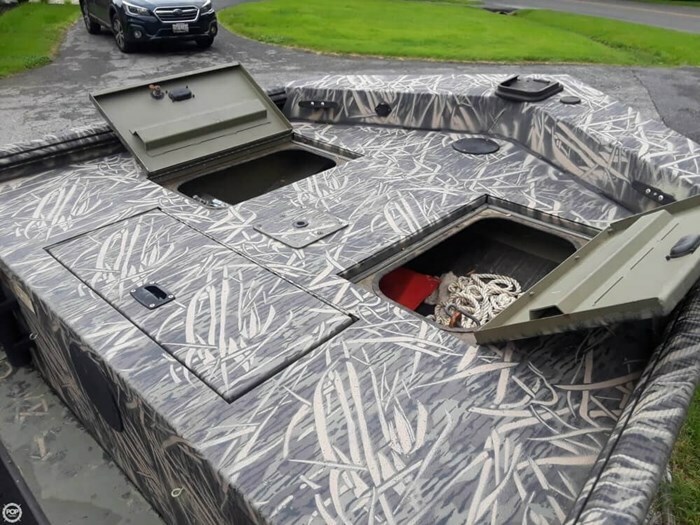 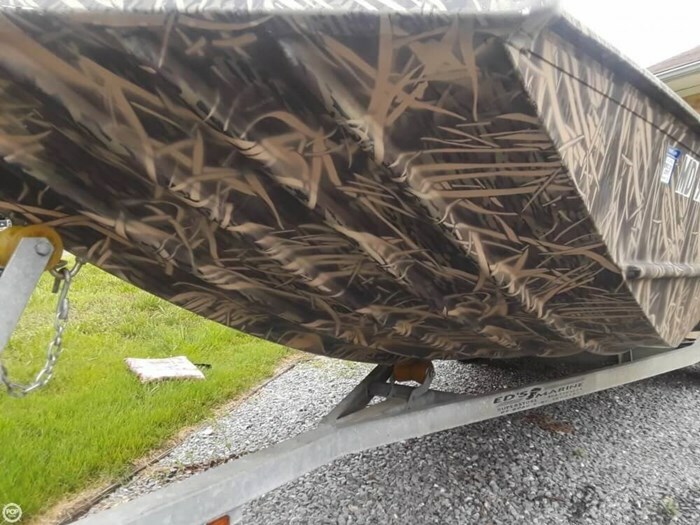 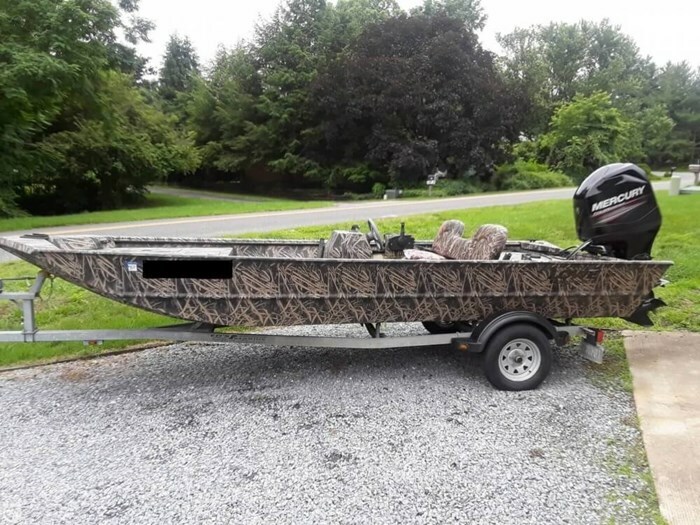 Camouflage patterns make this boat truly stand-out and reflect an all-business attitude. 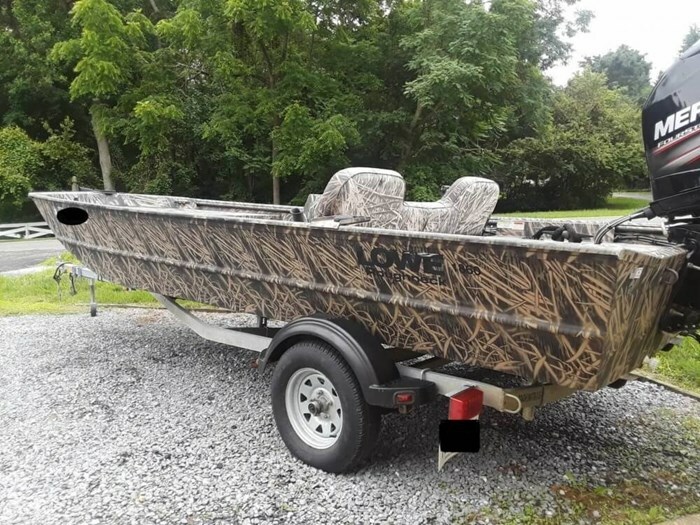 In addition, the reviews on this boat have been exceptional.